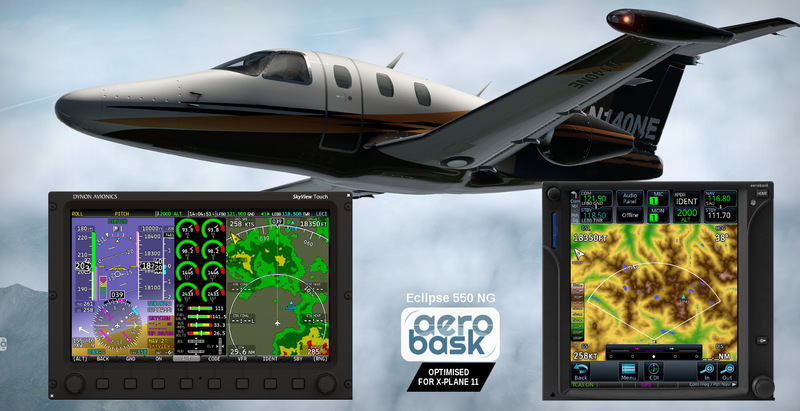 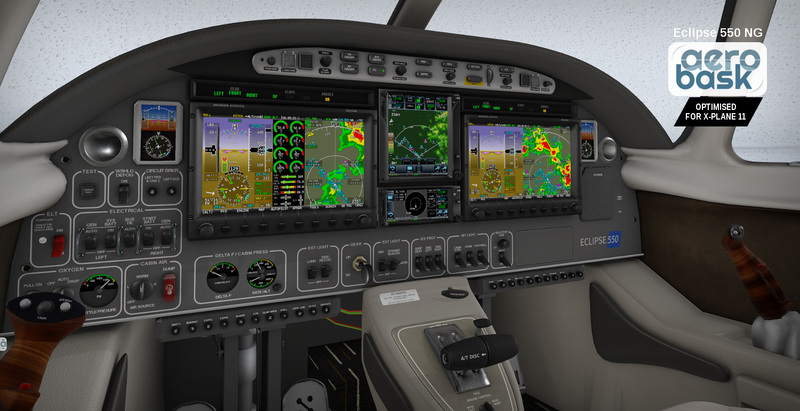 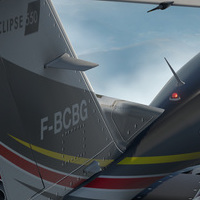 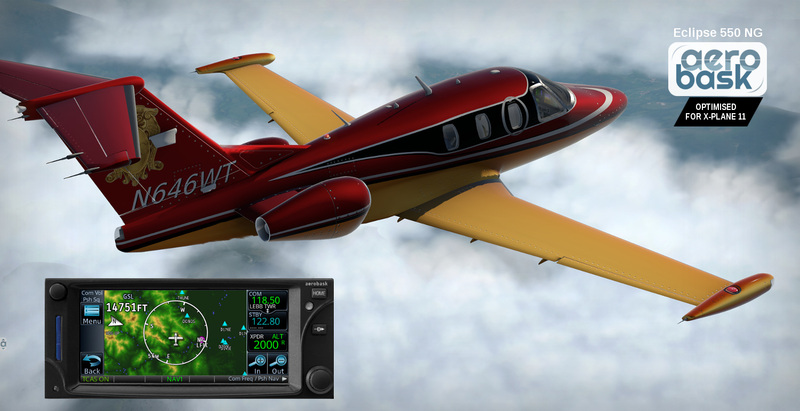 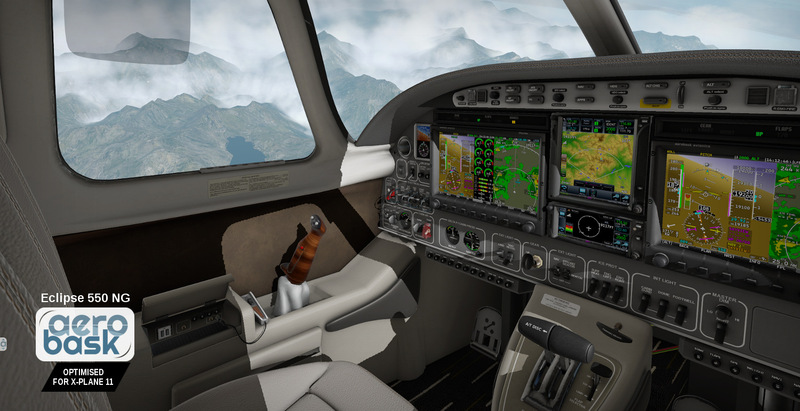 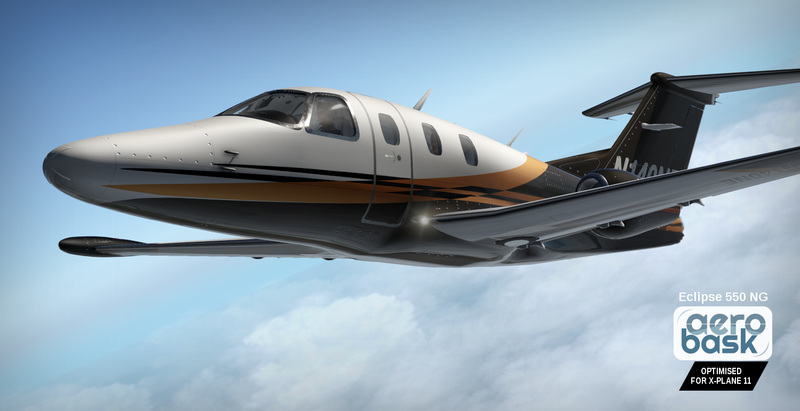 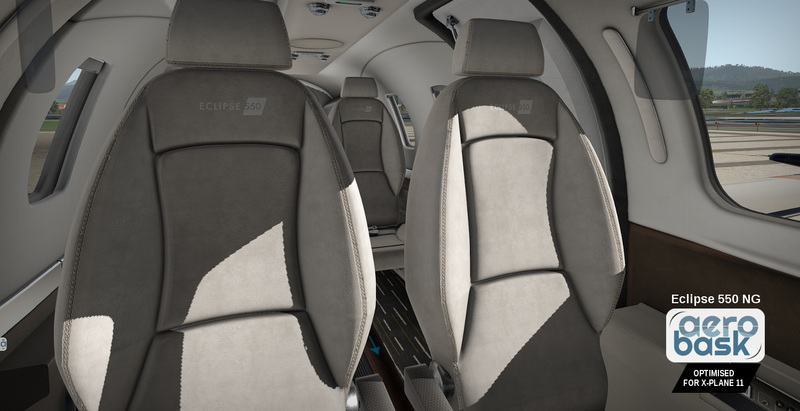 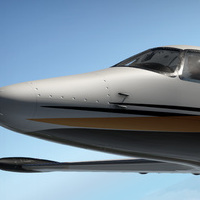 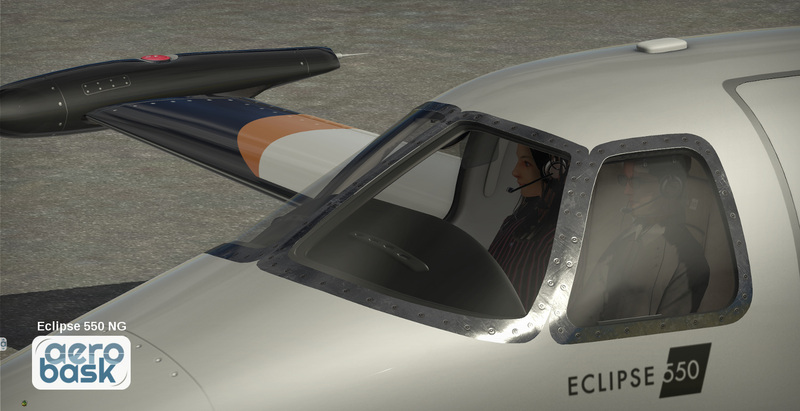 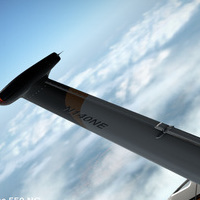 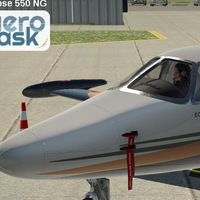 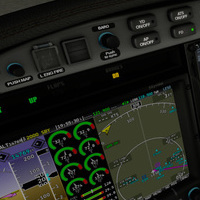 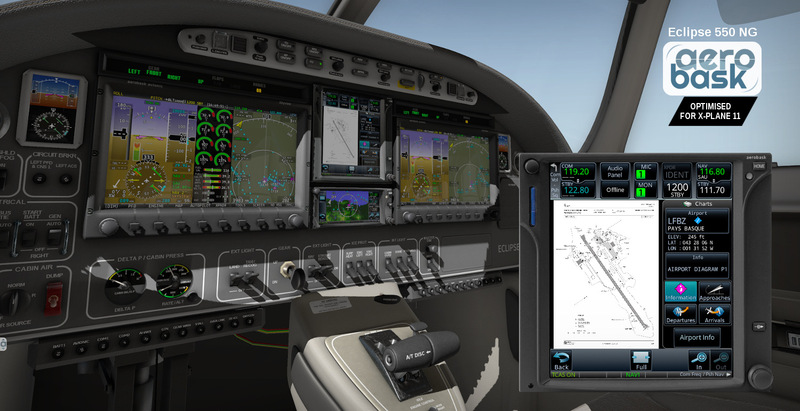 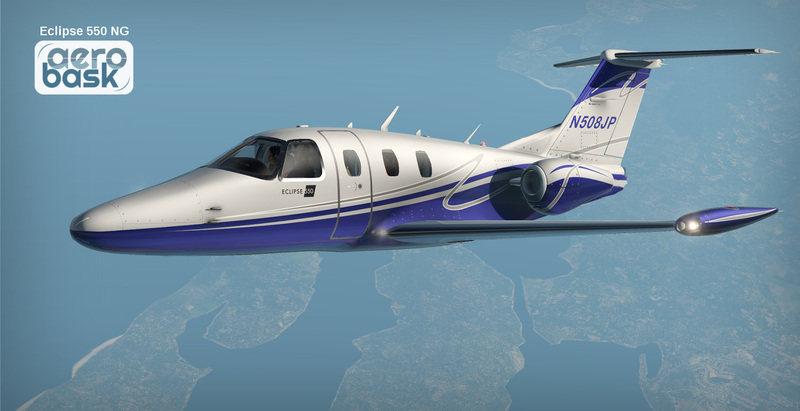 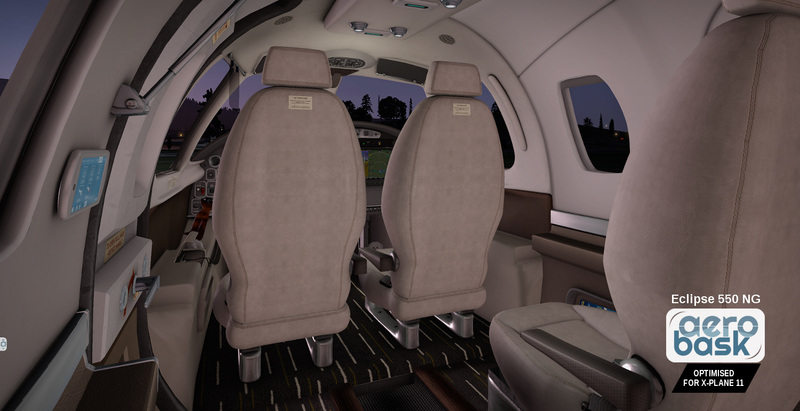 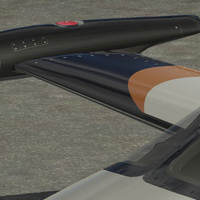 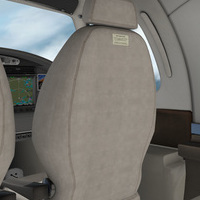 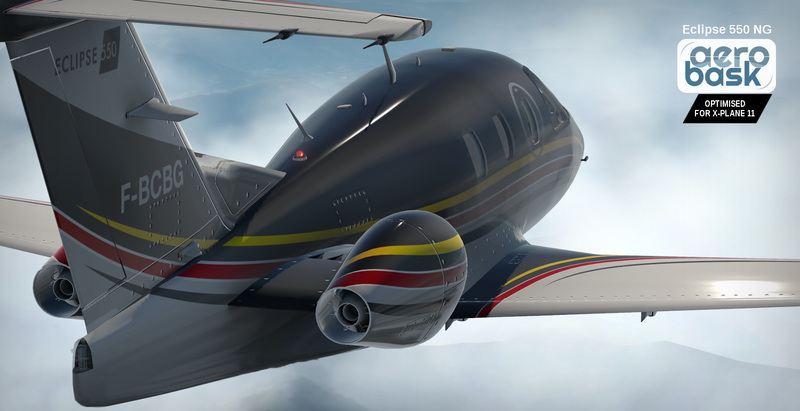 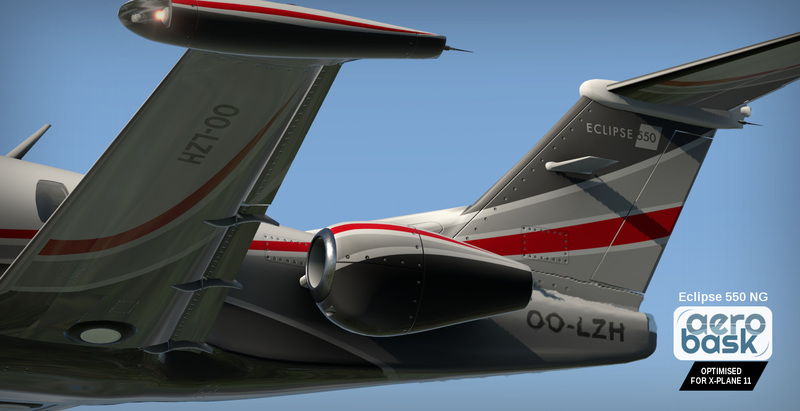 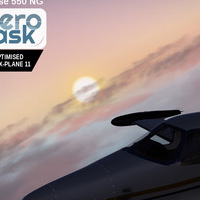 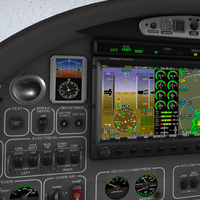 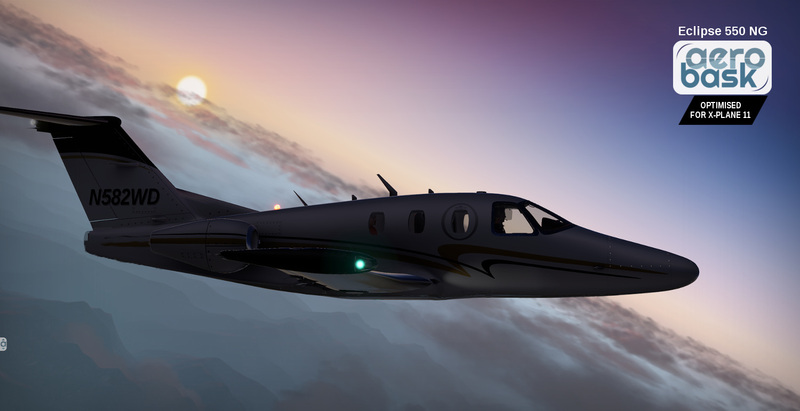 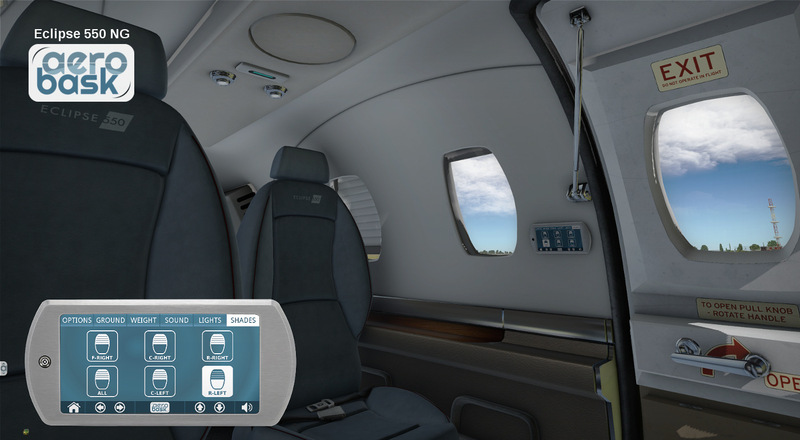 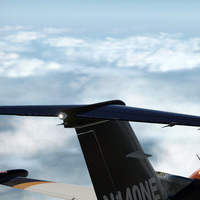 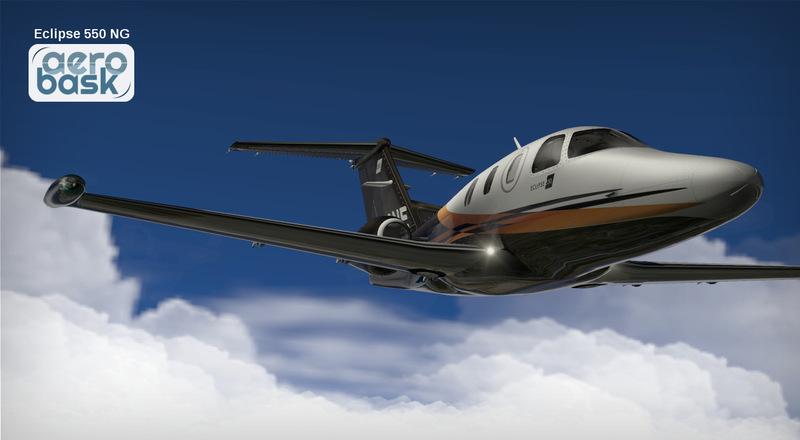 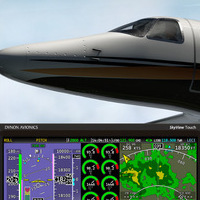 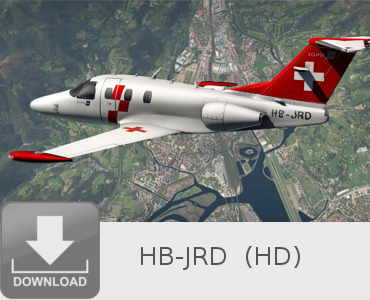 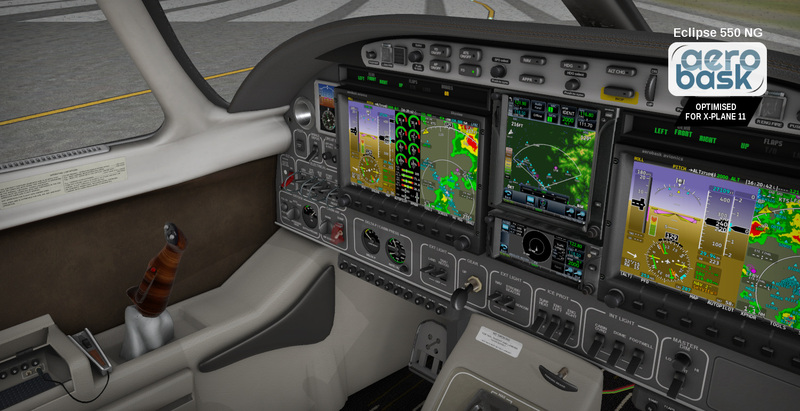 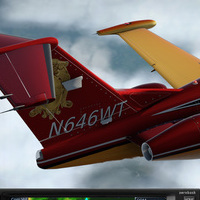 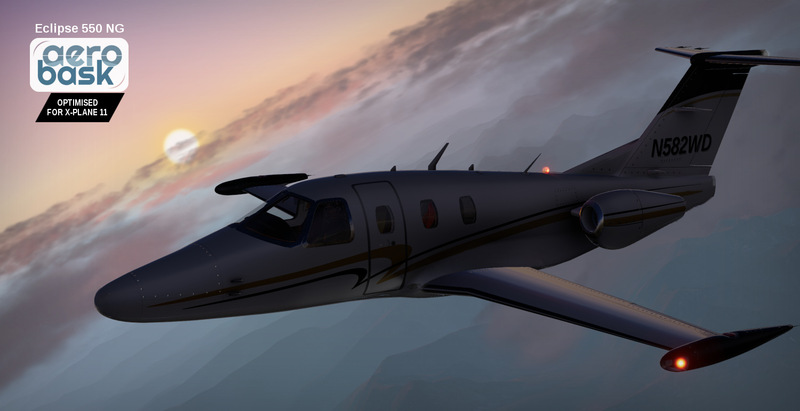 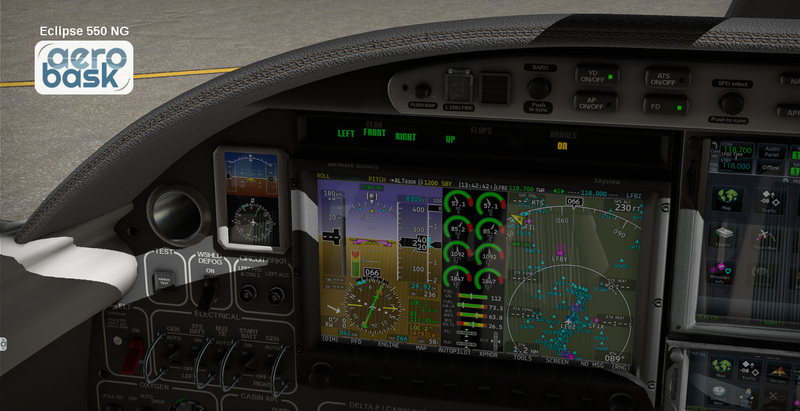 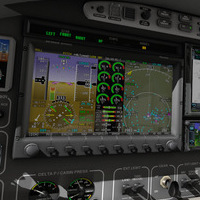 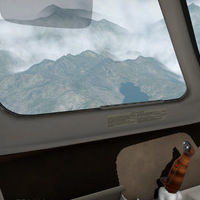 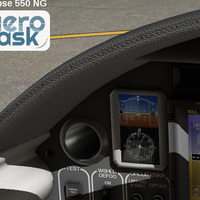 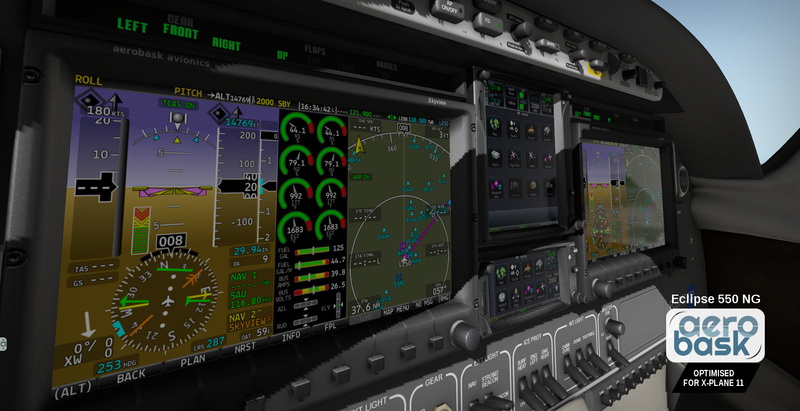 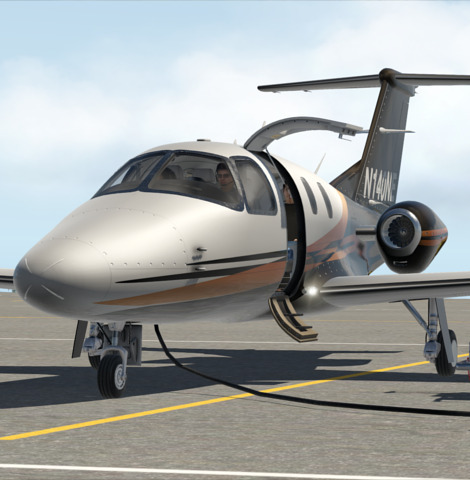 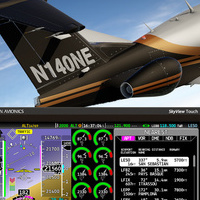 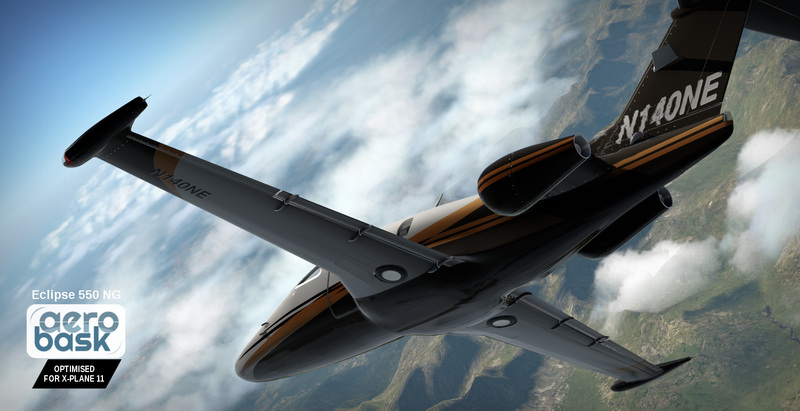 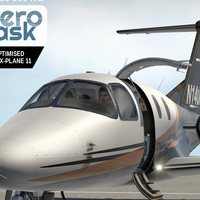 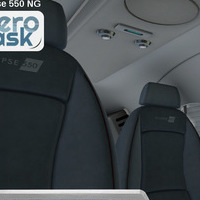 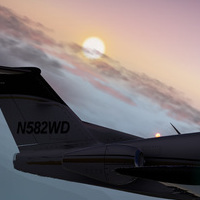 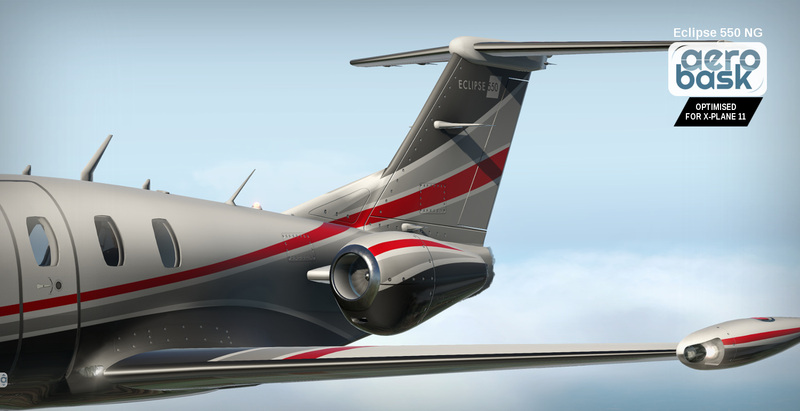 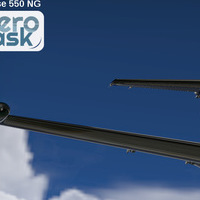 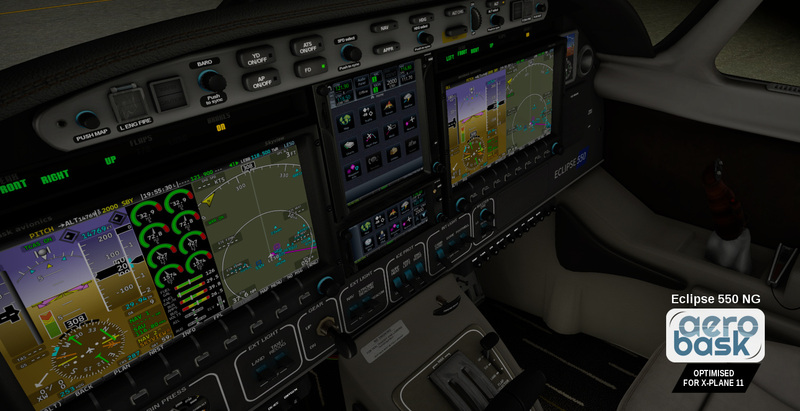 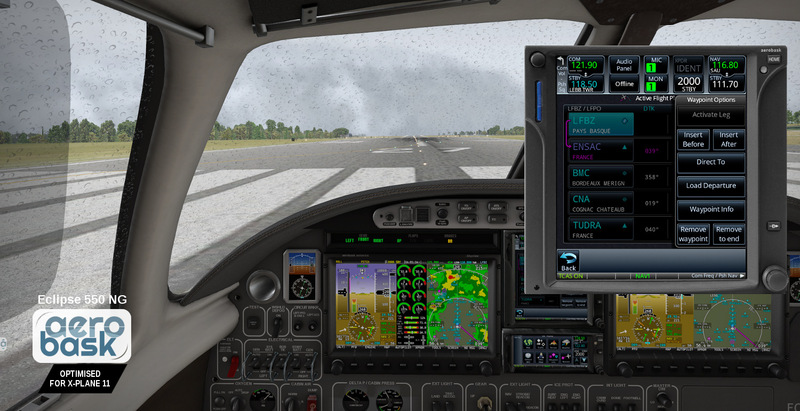 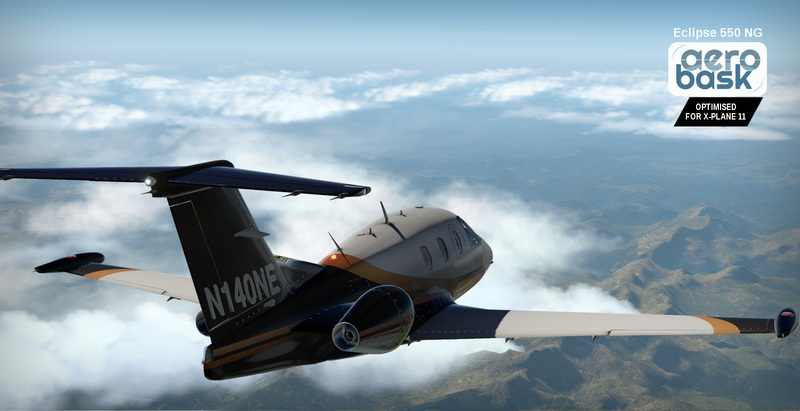 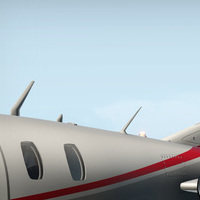 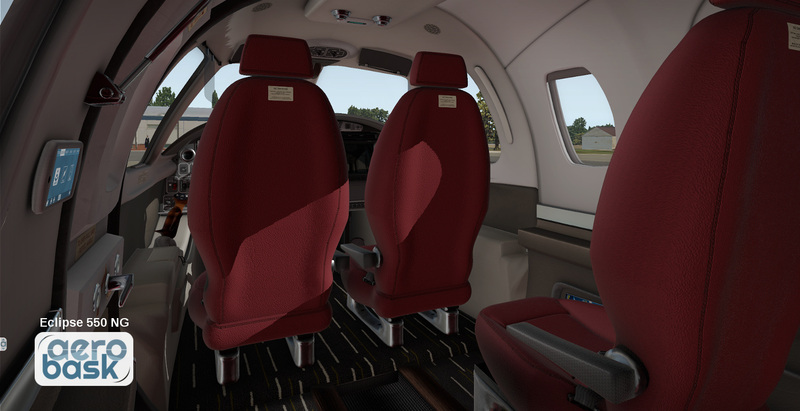 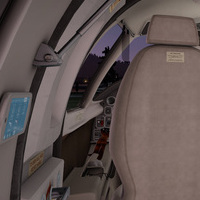 The Eclipse 550 NG is currently the most advanced small jet available for X-Plane 11. 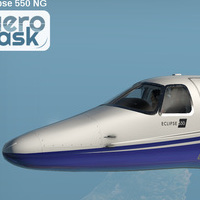 It's a small jet developed by One Aviation, low-wing, six seat, twin engine jet-powered aircraft. 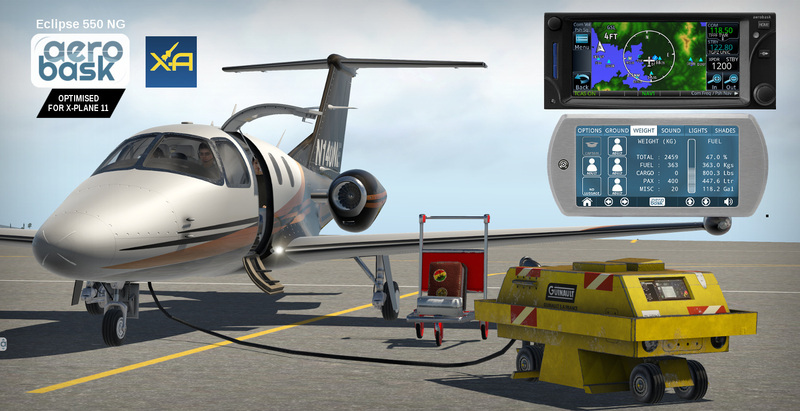 We have chosen to equip this aircraft with our last standard avionics : HD Dynon Skyview + Garmin GTN750/650. 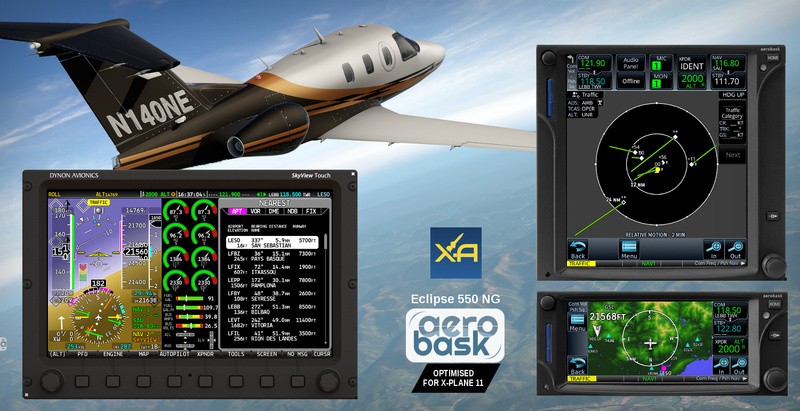 No default instruments used, all custom-coded with pop-up display. 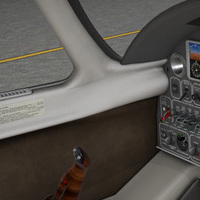 VIP Touchscreen Controller : Touchscreen with a single large display. 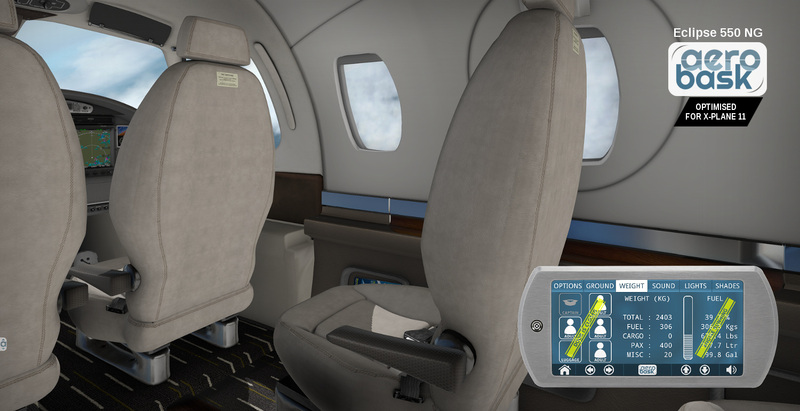 Works in cabin and 2D pop-up. 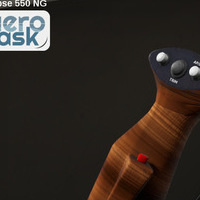 Very usable with Touch Screen Operation and full mouse scroll wheel support. 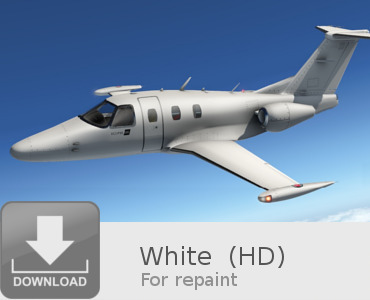 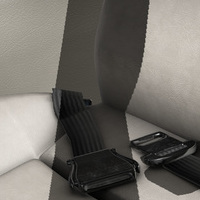 High quality 3D model with high resolution textures (4K), ambient occlusion, specular and PBR normal mapping dedicated to X-Plane 11. 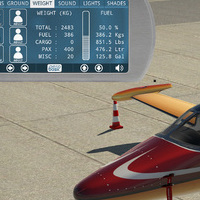 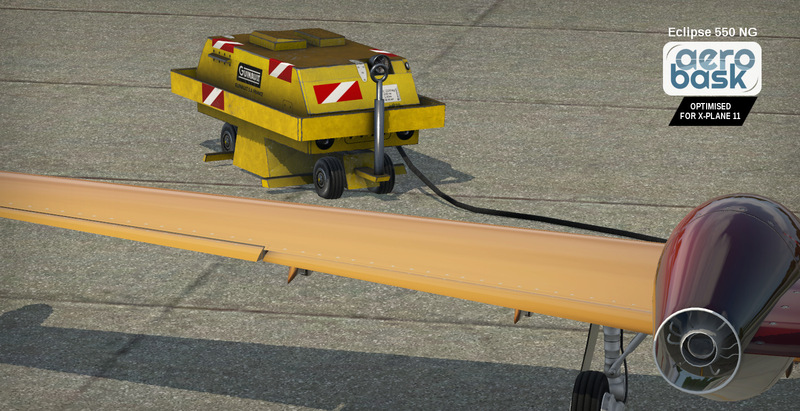 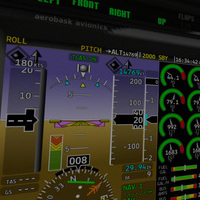 Accurate flight model according real datas and flight manual, built by X-Aerodynamics. 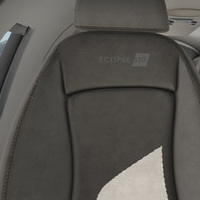 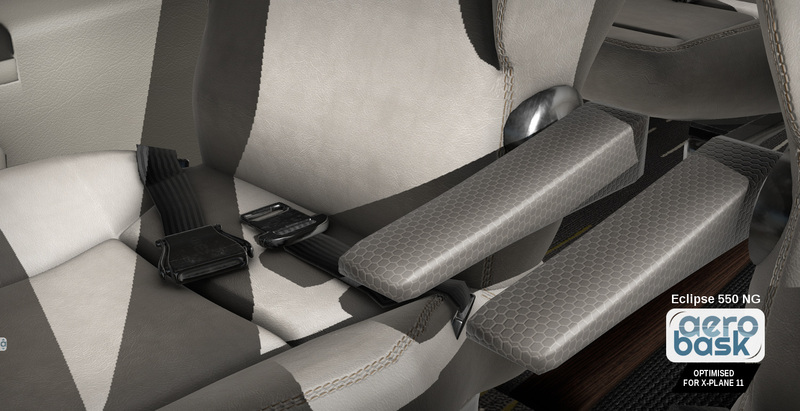 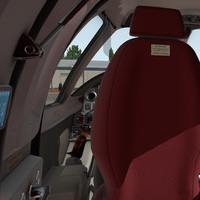 Fully functional virtual 3D cockpit, with a different interior design based on the selected livery. 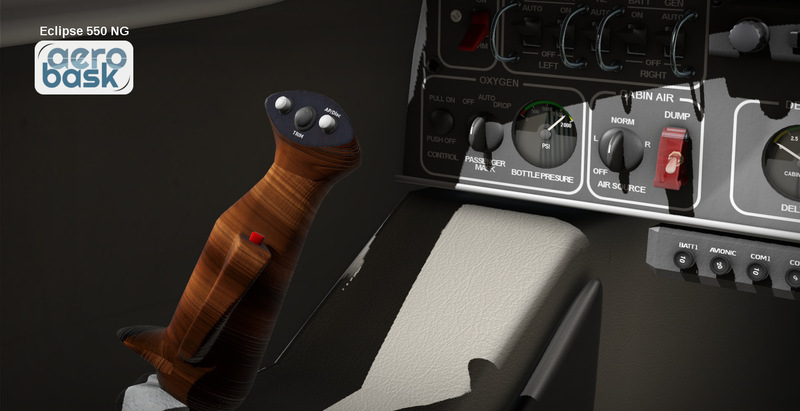 New since v1.1.0 : FMOD 3D sound system : a master piece of work by Daniela RC. 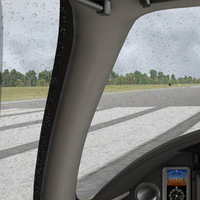 Windshield with reflections, ice and rain effect. 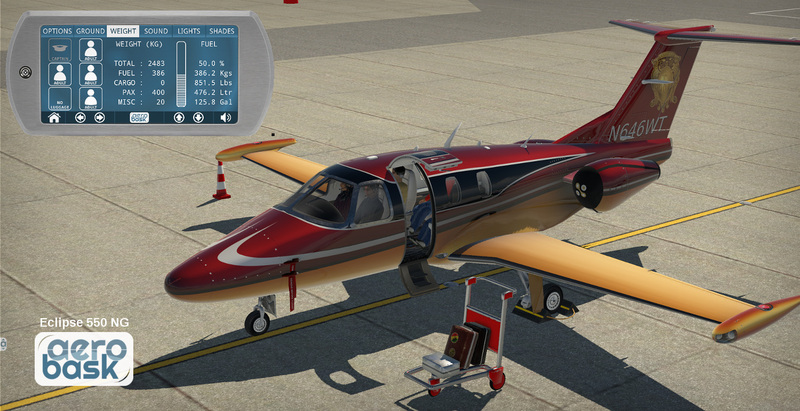 Many custom sounds: rolling, gear, flaps, canopy, vocal alert. 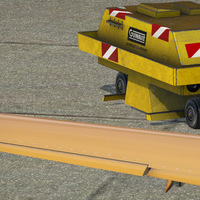 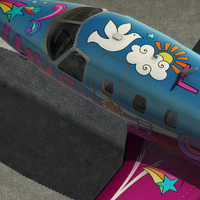 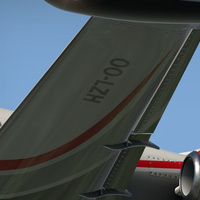 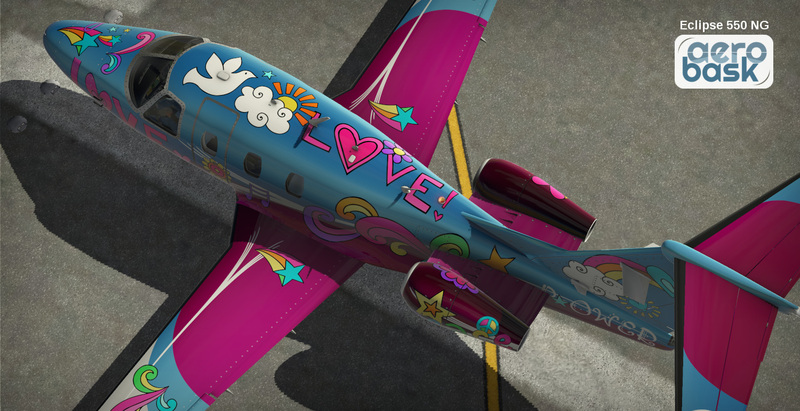 9 HD liveries with different paint sheme. 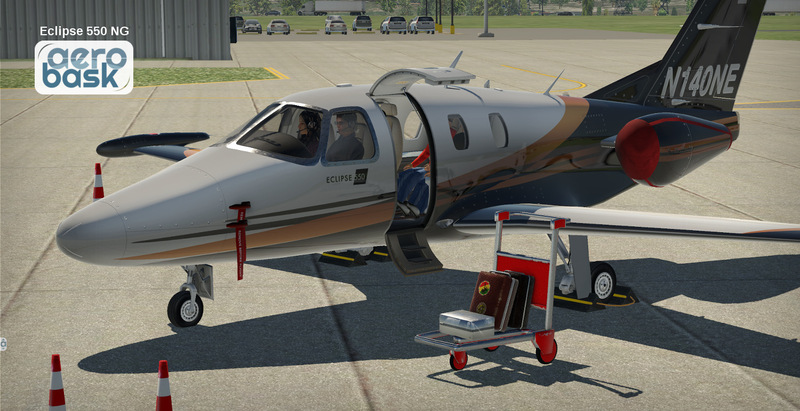 Flight Manual + Dynon Skyview Manual + GTN manual and several documents included.